CPU Fan for Toshiba Portege R700 R705 R830 R835 Series Product Info ..
GENUINE TOSHIBA SATELLITE L100 SERIES HEAT SINK FBBH2001010 Product Info ..
INTERNAL CPU COOLING FAN FOR TOSHIBA PORTEGE M800 M801 M802 M803 M805 M806 M808 M810 M851 U400 U405..
INTERNAL CPU COOLING FAN FOR TOSHIBA SATELLITE C50 C50A C55 C55A SERIES Product Info.. 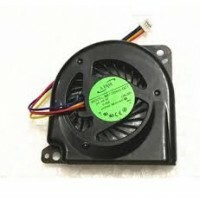 LAPTOP CPU COOLING FAN FOR IBM LENOVO IDEAPAD Y450,Y450A SERIES GB0507PGV1-A Product Info.. 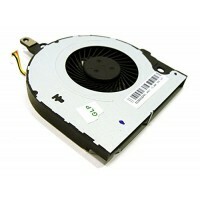 LAPTOP CPU COOLING FAN FOR TOSHIBA Qosmio G15 G15-AV501 MCF-TS5512M05 Product Info .. 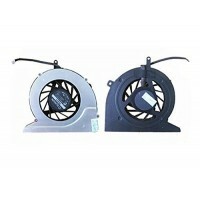 LAPTOP CPU COOLING FAN for Toshiba Satellite A135 SERIES Product Info .. LAPTOP CPU COOLING FAN FOR TOSHIBA SATELLITE A200 SERIES K000049730 Product Info .. LAPTOP CPU COOLING FAN FOR Toshiba Satellite A305 A305D UDQFRZH05C1N Series Product Info .. LAPTOP CPU COOLING FAN FOR Toshiba Satellite A355 A355D A355D-S6930 A355D-S6885 Product I.. LAPTOP CPU COOLING FAN FOR TOSHIBA SATELLITE A70 SERIES K000016310 DFC601005M30T Product .. LAPTOP CPU COOLING FAN FOR TOSHIBA SATELLITE A75 SERIES 000016310 DFC601005M30T Product I.. LAPTOP CPU COOLING FAN FOR TOSHIBA SATELLITE L355 L355D SERIES L355D-S7901 Product Info .. LAPTOP CPU COOLING FAN FOR TOSHIBA SATELLITE L455 L455D L455D-S5976 L455-S5009 Product In.. LAPTOP CPU COOLING FAN FOR Toshiba Satellite L500 L505 L505D Series V000170240 Product In..